Personalized Valentine’s Day Cards | Minted. It seems that we can’t go a holiday without turning to Minted and can you blame us? Minted has some of the most beautiful cards and gifts. 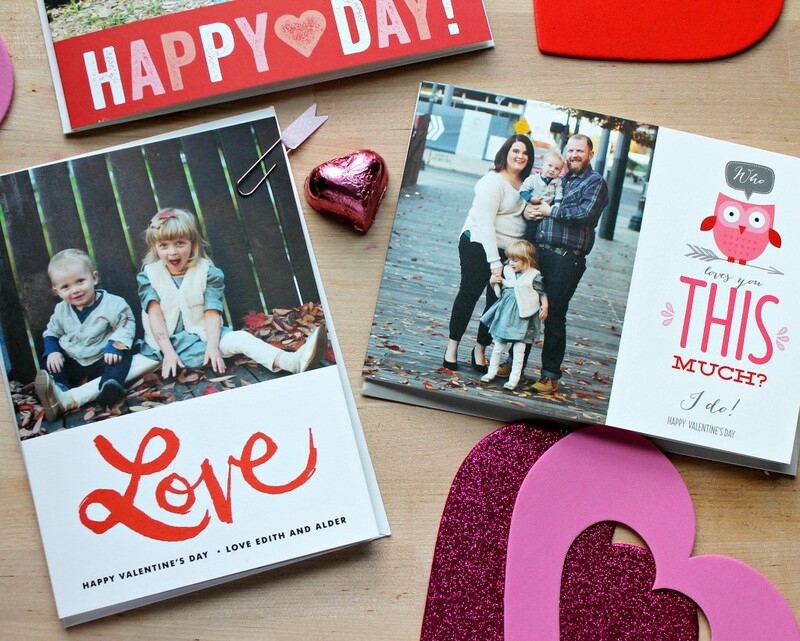 Greeting cards becomes a little gift, a keepsake for your friends and family. 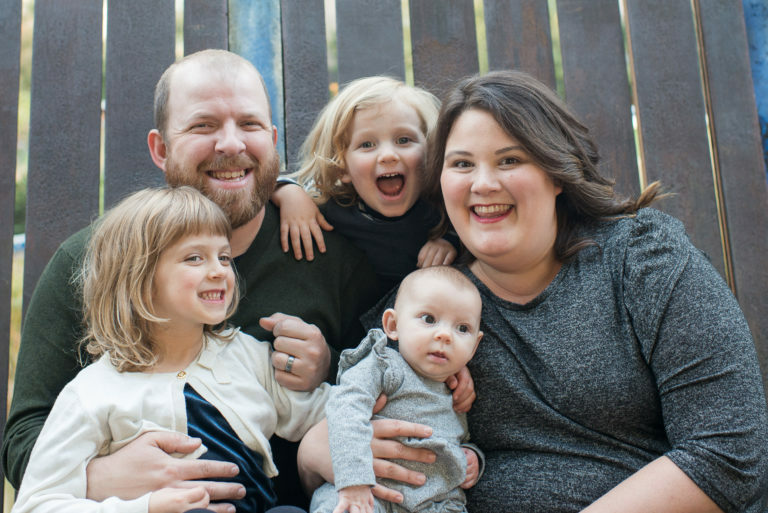 This year in our Valentine’s Day Cards (or Love Day cards if you’re Edith) we are sharing the beautiful family photos, taken by our friend a photographer Wendy of Paperfish Studios. 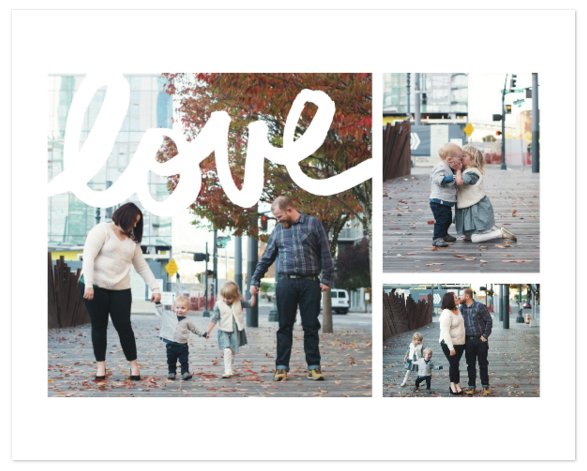 We were able to pick out a variety of individual cards to personalize and send to family and friends. 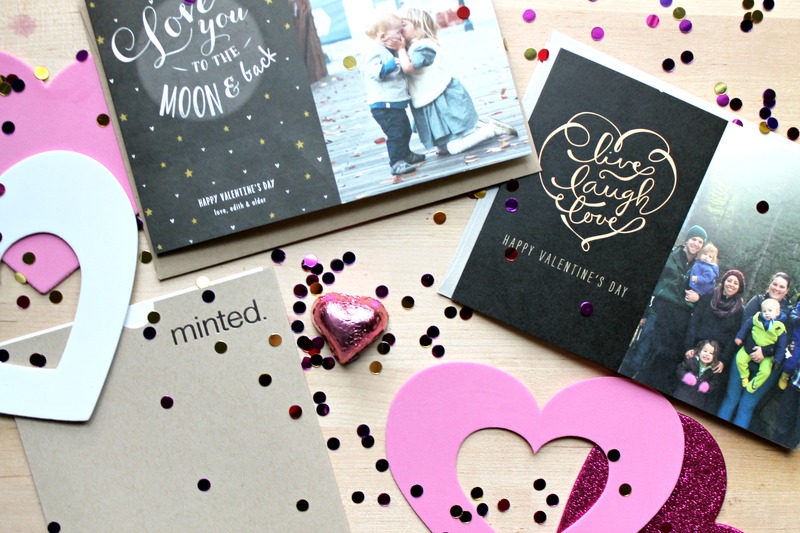 I love that we don’t have to order a box of the same cards, although there is that option if you prefer, and we can personalize cards based on our Valentine’s. If you have little ones there is also the option of super cute classroom Valentine’s Day cards. 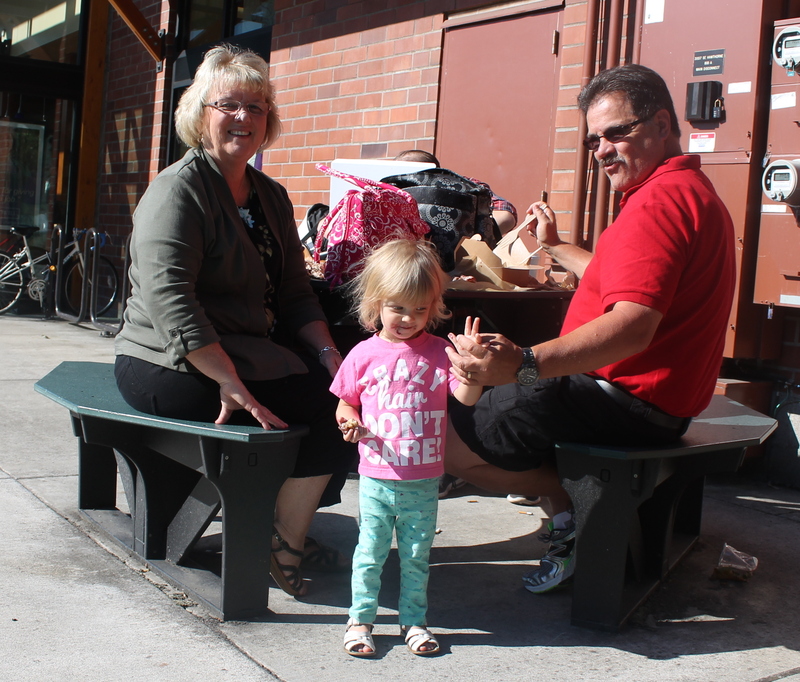 We actually ordered some last year for Edith and Alder to send and give out to friends and family. Along with beautiful Valentine’s Day cards they have so many gifts from personalized notebooks and planners to incredible art work. This year my Valentine received this beautiful family photo collage. I couldn’t resist giving it to him as soon as it arrived so it’s already proudly displayed in a black frame our living room. What are you giving out this Valentine’s Day? Are you doing anything special? Along with our cards we are doing a few Valentine’s Day crafts to send out. As for the actual day I’m not sure what we have planned. 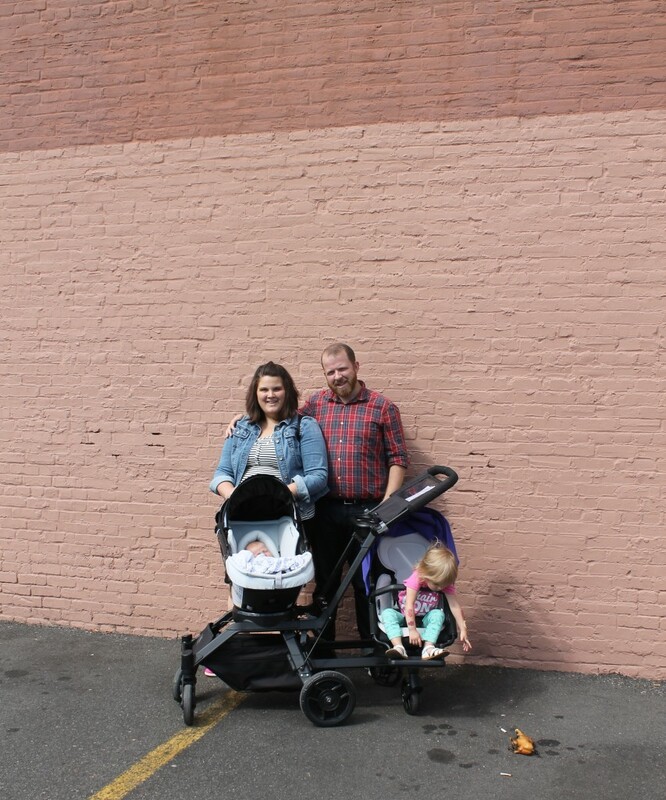 Probably a little family outing but nothing wild. This post is sponsored LARABAR. Playdates, nature walks, gymnastics class, swimming lessons the list can go on and on. What can I say being a parent of two little ones keeps me busy. 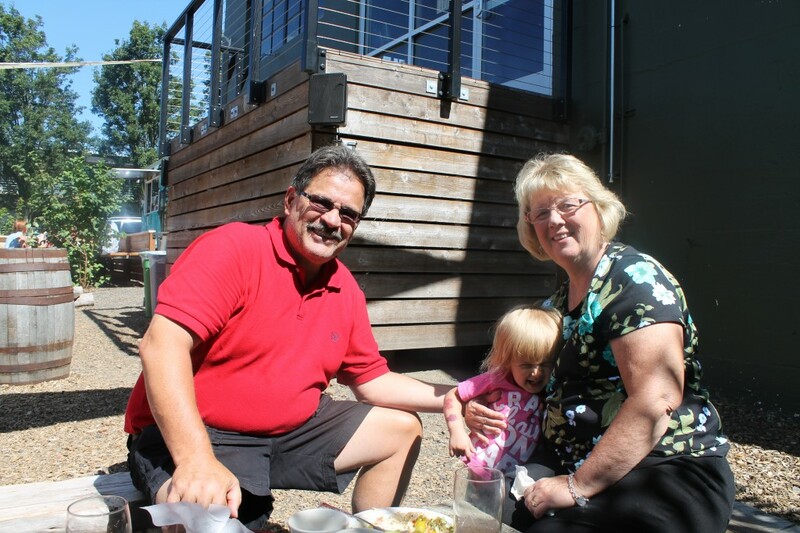 Often I find myself “forgetting to eat” and trying to fit in bites of a meal when I can and sometimes the only really substantial meal I get in the day is when we all sit down to eat dinner together. But, mama needs her fuel. So, to keep me going during the day I rely on quick and healthy snacks to provide me with the boost of energy I need. Instead of turning to crackers, cookies and other less than healthy snacks I try to eat as clean as possible. I prefer my foods vegan and I avoid foods with artificial ingredients, added sugars and colorings. For me the easiest snacks are fresh fruit, pre-cut veggies, nuts and seeds and my favorite snack – LARABARs. LARABARs taste great, are an easy and healthy vegan option and I love that they are free of added sugars, artificial ingredients and preservatives. 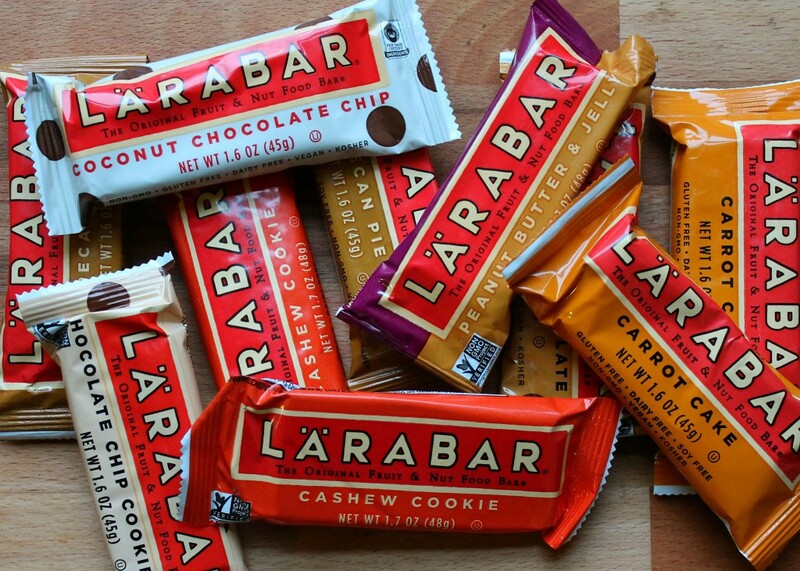 LARABARs are also gluten-free and kosher and are non-GMO! 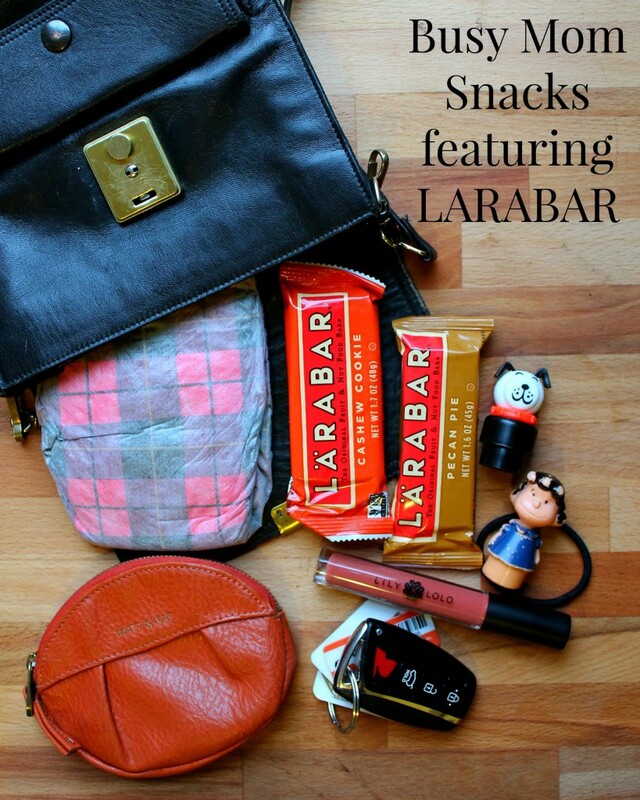 LARABARs are easy to throw in my purse or diaper bag and I also keep them in a basket on our snack shelf. They are a super easy and delicious snack I can just grab and eat while I wrangle children or snack on when we are out having fun together. 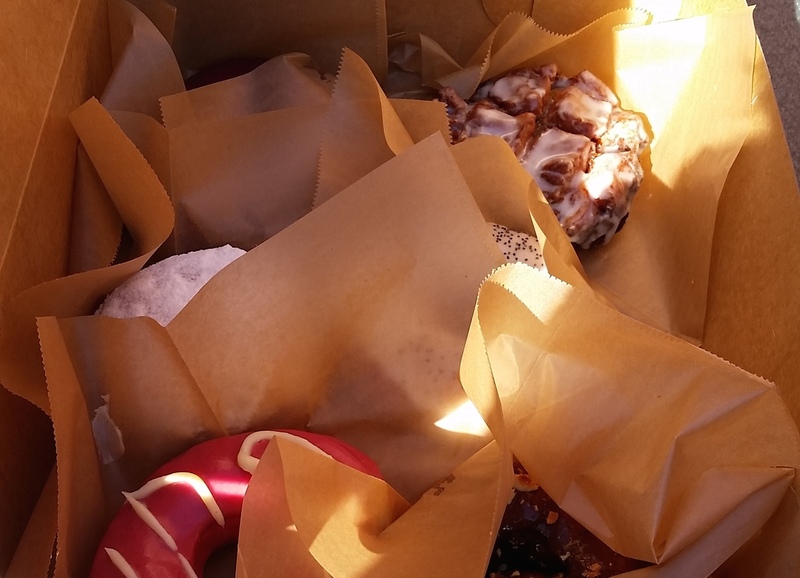 I even enjoy them for breakfast on the go sometimes with a cup of coffee and a banana. 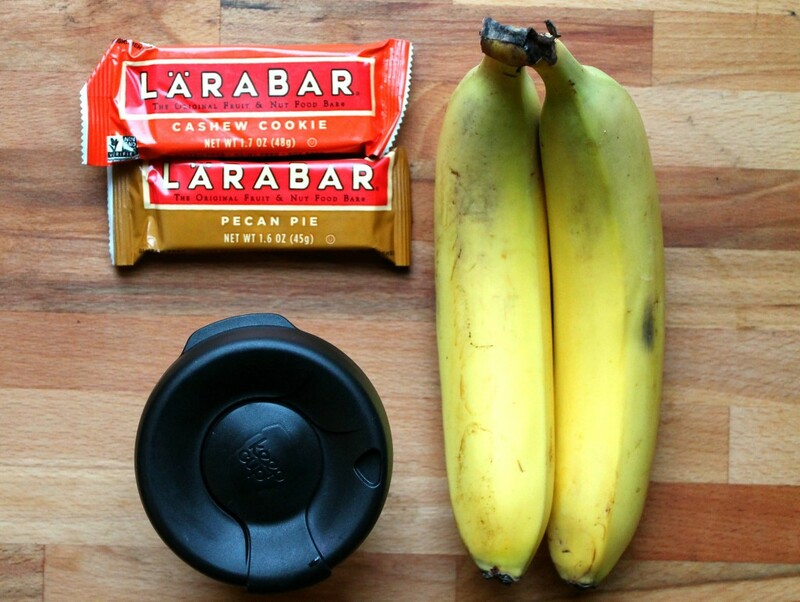 What are your favorite healthy portable snacks? Do you or your kids have a favorite LARABAR flavor? 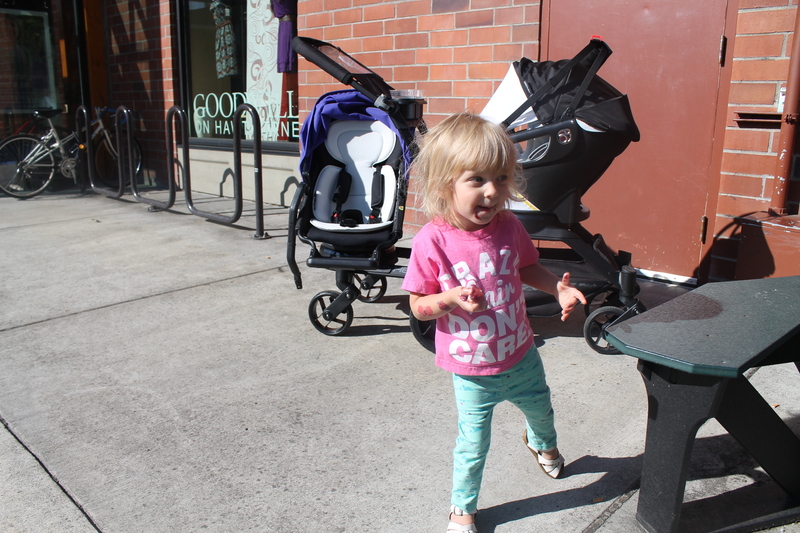 We love to grab a few LARABARs, a few bananas or tangerines and a chia squeeze packet whenever we head out for a playdate, nature walk or class. At LARABAR®, we believe that the foundation of a sound mind, body and spirit is derived from what you eat – and what you eat is most delicious and satisfying when it’s in a whole, natural state. I think both of our kids are going through a growth spurt right now. Every time I sit down to relax for a minute they seem to ask for a snack and back to the kitchen I go. With all this snacking I have really had to get creative with their snack plates. fresh veggie sticks – my littles love carrots, bell pepper and cucumber. fresh fruit – basically any kind of fruit you can think of except durian…probably not durian. apple almond butter sandwiches – core and apple, cut into rounds, spread one slices with almond butter and top with another slice. tofurky and vegan cream cheese roll ups – spread cream cheese onto a tortilla or lavash bread place a layer of tofurky, roll up and cut into little rounds. This morning I kept it simple and the kids snacked on Trader Joe’s Roasted Seaweed Snacks but when it came time for lunch they were all over these lunch snack plates. 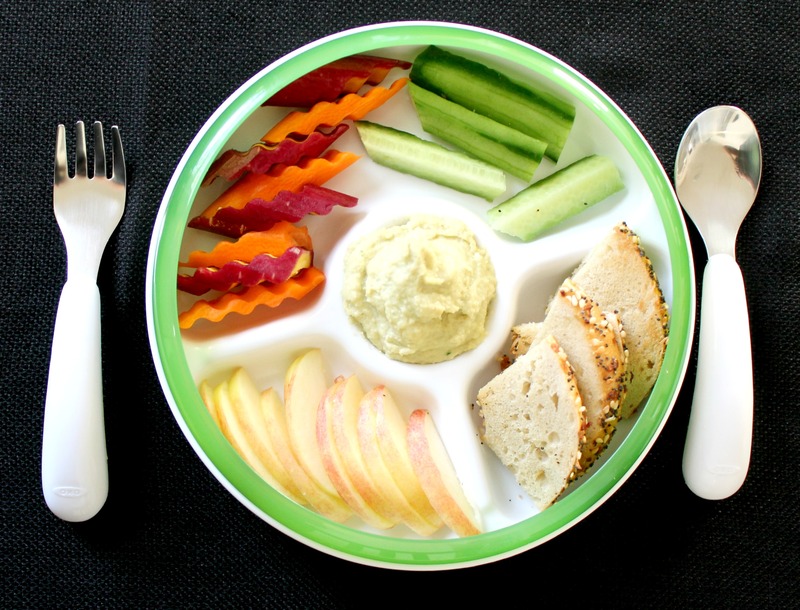 Alder’s Plate: Crinkle Cut Carrots, Cucumber, Apple, Homemade Bagel Chips and Cashew Cheese Spread. Place everything in a food processor and process until smooth. You may need to scrape down the sides of the processor a few times until it is smooth. Preheat the oven to 350F. Thinly slice the bagels, place on a cookie sheet, rub with olive oil and sprinkle with seasoning. Bake for 10-15 minutes until lightly browned. 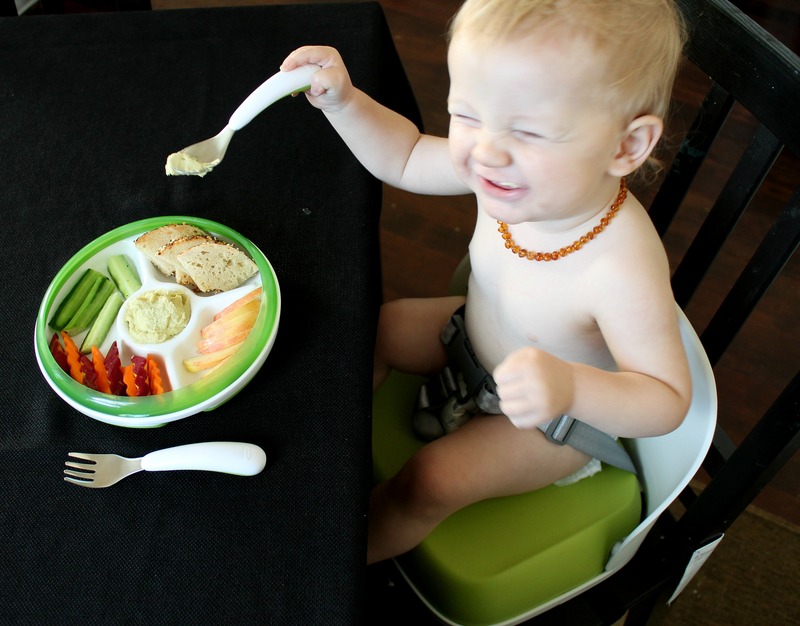 Since Alder now sites at the table with us instead of in his high chair he has been all about using the OXO Tot Perch Booster Seat with Straps. Edith on the other hand has re-claimed the highchair which we have converted into a youth seat. 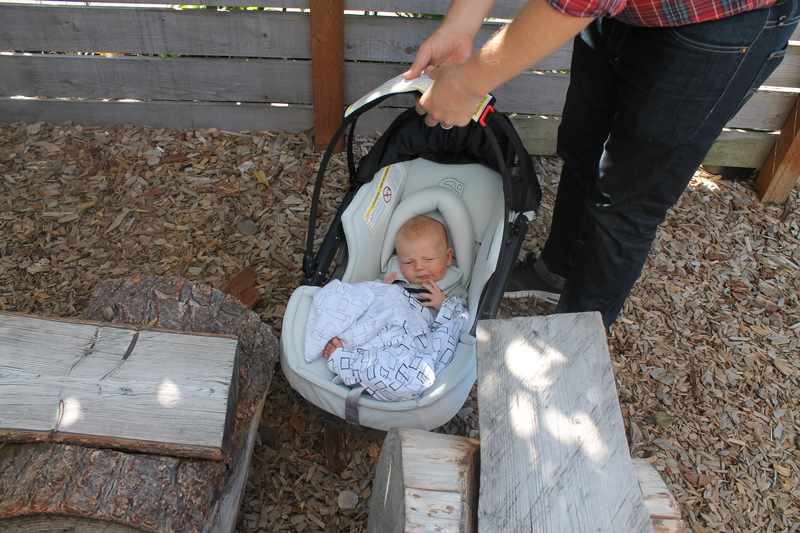 Both couldn’t be happier and I love how the booster seat has a strap around the waist and it also straps to the chair. 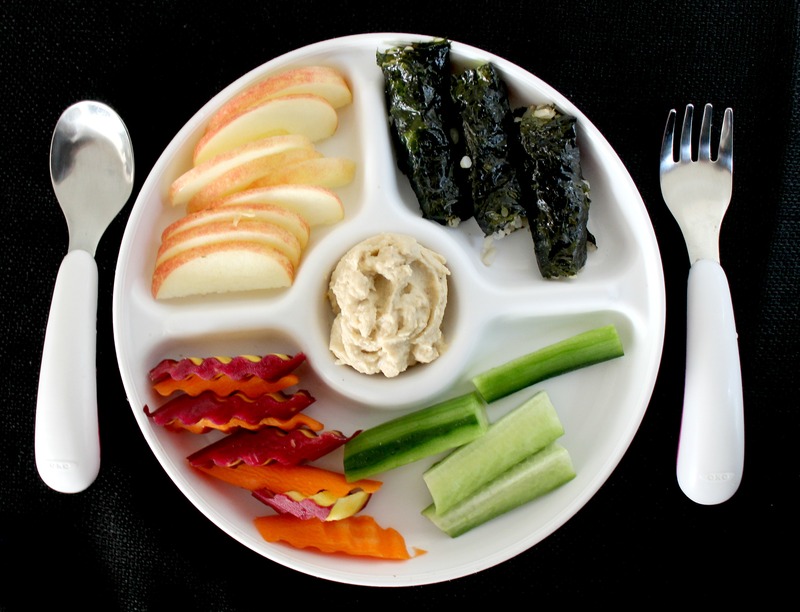 Edith’s Plate: Crinkle Cut Carrots, Cucumber, Apple, hummus, and seaweed rice wraps. place a tiny bit of rice in the center of the seaweed snack, roll up like sushi and use a tiny bit of water to seal the edge. I think the key to snack plates is to keep them fun, relatively simple and full of color, flavors and textures. I also love that these OXO Tot Spoon & Fork sets because they are perfect for little hands and the OXO Tot Divided plates have dividers which makes it easy to separate all the different foods and make fun and pretty plates for the kids. 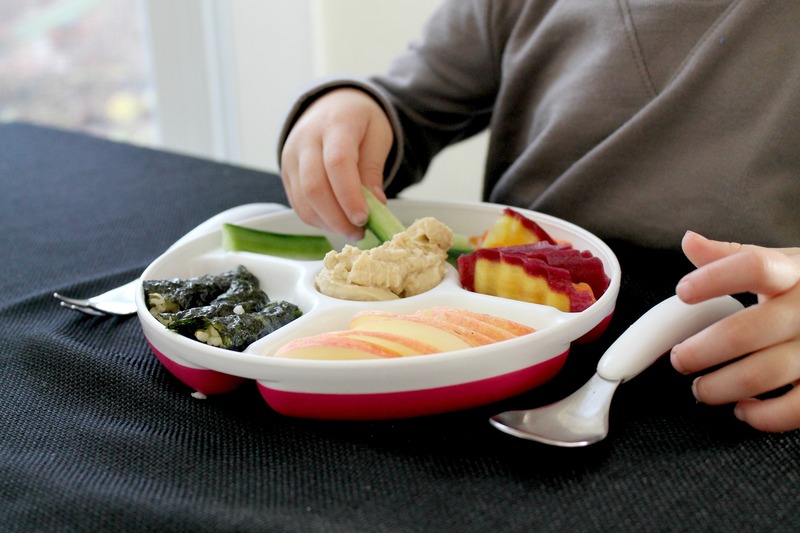 What are your snacks to serve to your toddler? *Disclaimer: While OXO Tot was kind enough to send us Divided Plate, Fork and Spoon Set, Perch Booster Seat with Straps we did not receive any additional compensation for writing this post. 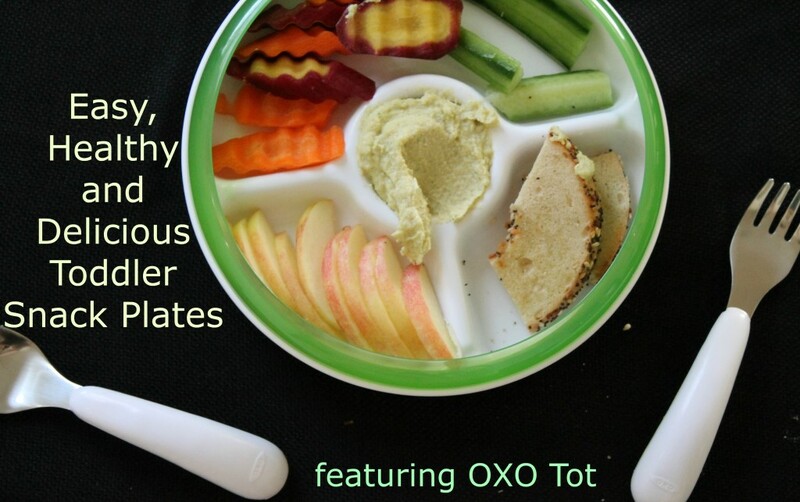 If you have been following us for awhile you know we are huge OXO Tot fans. While cleaning hasn’t always been my favorite chore, it’s become even more of a burden since having kids. Between picking up clothes, toys and finding food in weird places, all of the fine details of cleaning the house tend to fall by the wayside. While we do recognize the importance of taking the time to wipe down the mirrors, mop the floor and dust the furniture, finding time can prove to be nearly impossible. One of our favorite discoveries lately has been CloroxⓇ Triple Action Dust Wipes. These dry, non-abrasive wipes work great to dust our furniture, TVs and counters. And even better, it only takes one wipe to do an entire room! 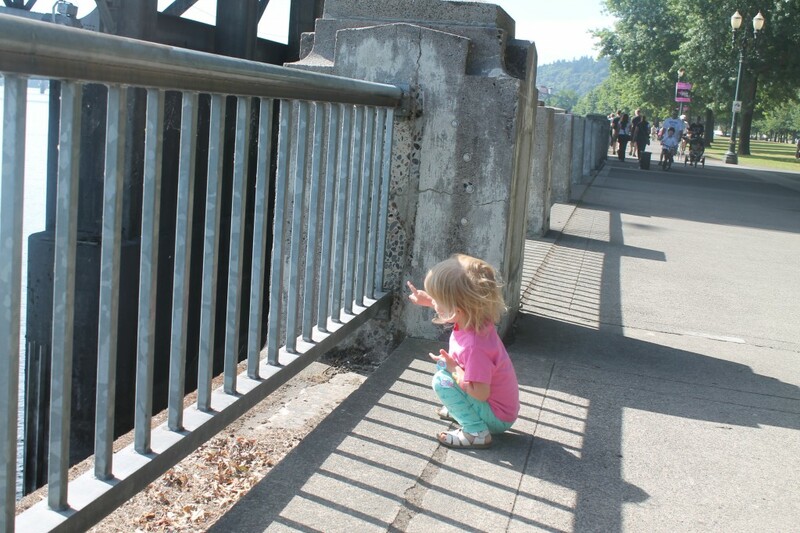 Gone are the days of using half a package of wipes just to clean your window sills. Having issues with allergies and dry eyes as well as roaming infants and toddlers has made keeping these surfaces clean a priority. 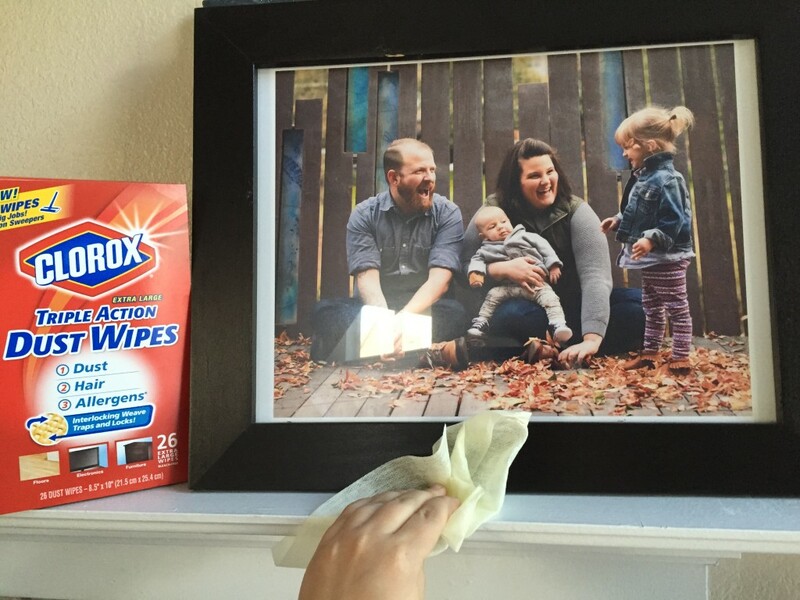 And because they’re not abrasive, the CloroxⓇ Triple Action Dust Wipes work wonders when wiping down the dust that’s built up on our TV, picture frames and full length mirror without leaving a scratch or smudge. And while Alder’s still too young, Edith loves to help with picking around the house. And Lindsay and I both realize that we need to jump at that opportunity to involve her while she’s still young and have her contribute while having us set a positive example. And sure, she may play with the items she’s been tasked with putting away instead of finding homes for them. But it’s clear to all of us that we are more comfortable and happy in a clean, healthy home. Involving Edith has also made it easier to find the time to fit cleaning into our busy schedule. What are some of your favorite time-saving cleaning tips? This post is sponsored by Clorox—helping you clean on the go for a happier home. I think I had a pretty fashionable pregnancy with Edith and I totally regret not keeping my cute maternity clothes for the second time around. However when it came to postpartum/nursing wear I was a hot mess. 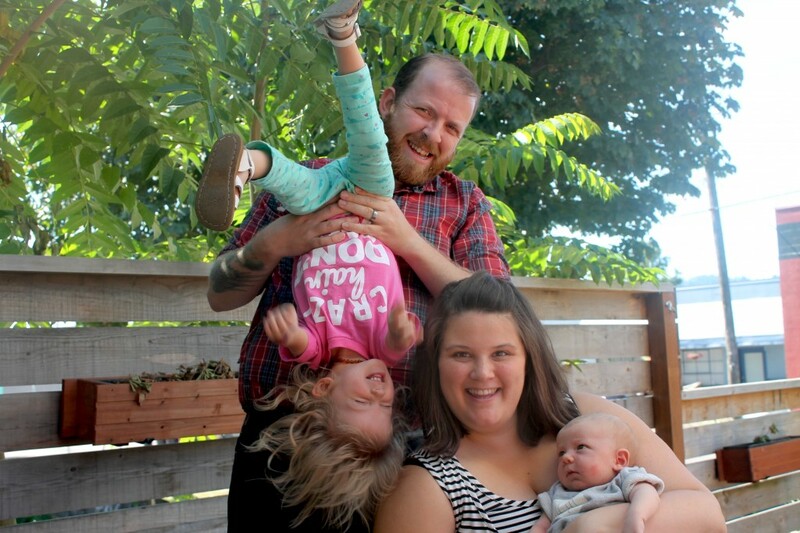 I lived in old t-shirts, nursing tanks and maternity jeans for months and months and by the time I was mentally ready to buy new clothes I was pregnant again. This time around I am not waiting 15 months to buy clothes that I feel good wearing. While I am still struggling with embracing my new postpartum body I am working on it. 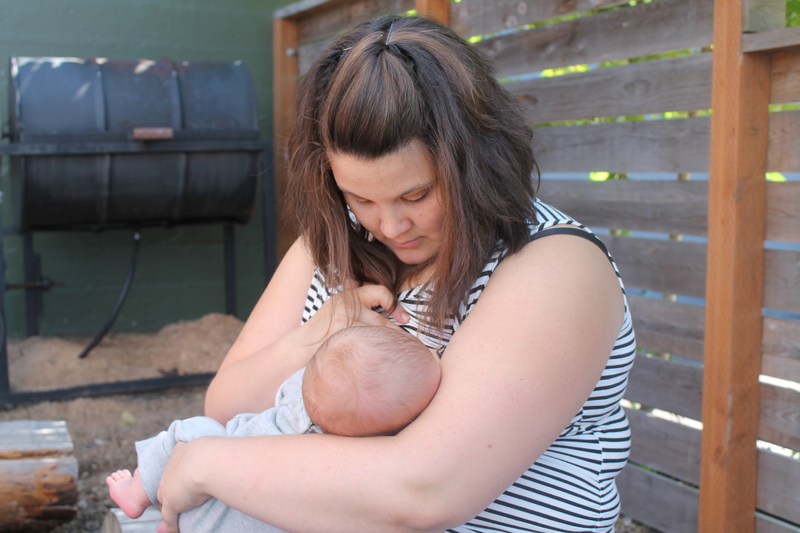 Luckily I have a few great pieces of postpartum clothing including the beautiful NOM nursing top that you may have seen in my Nursing Wear YouTube video. First I want to thank Belly Dance Maternity for sending me this beautiful top to share with you. I am absolutely loving it. 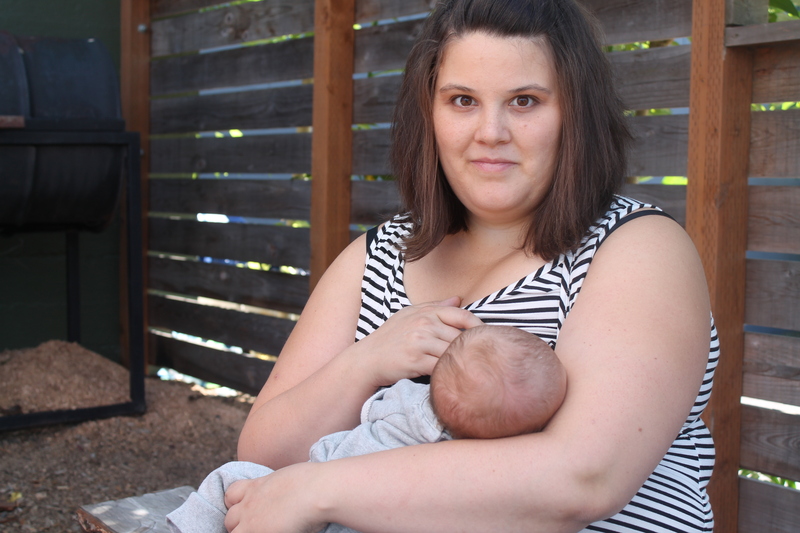 I love black and white strips and this top has a bonus feature it is nursing friendly. 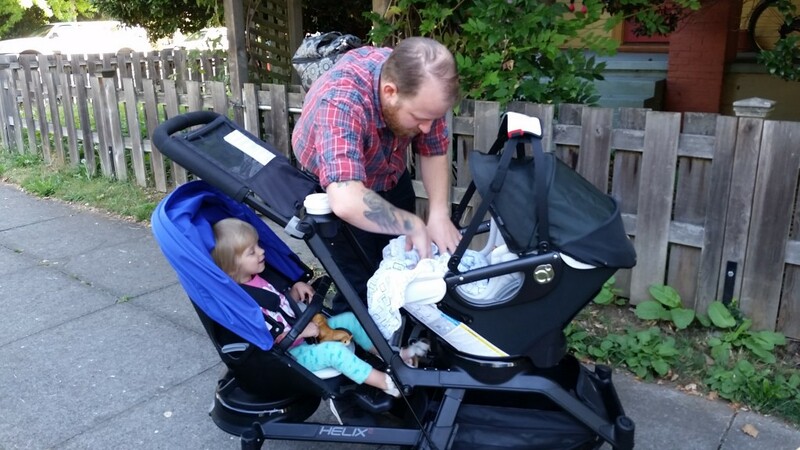 You just unbutton the snaps on top and lift up to easily nurse. I don’t have any other nursing tops like this and let me tell you I plan on buying a few more. It’s so much easier than wearing a nursing tank under my shirts and having to lift it up every time I need to nurse. Plus you’d never really know it’s a nursing top from looking at it. It is also a fantastic maternity top and the ruching is great for an expanding belly or in my case a postpartum belly. Belly Dance Maternity features fashionable gear for your entire pregnancy and postpartum. 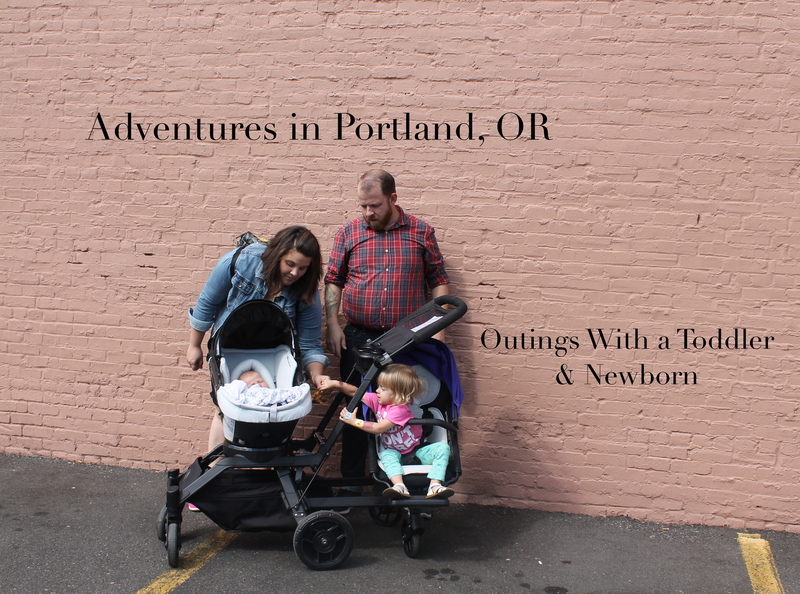 I am loving their new Fall clothes and am making a list of items I want to buy. 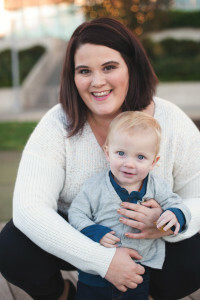 I am seriously lusting after MICHAEL STARS POSEY SURPLICE MATERNITY TOP (also great for nursing), SERAPHINE BLACK JOLENE KNOT DRESS (because cute nursing friendly dresses are hard to find and the holiday season is upon us so of course I need a dress for parties and events) and seriously how cute is this LOYAL HANA CROSSHATCH CARRIE POCKET SHIRT. 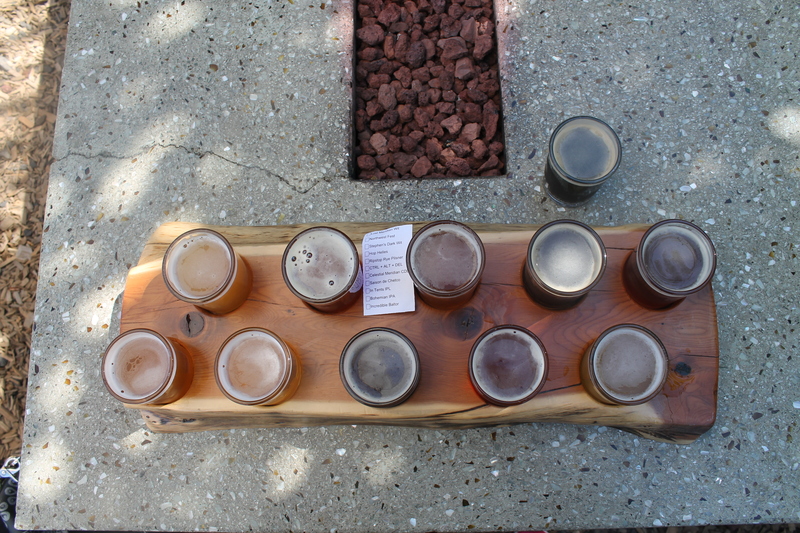 If anyone is looking to get me a late birthday gift …..hint hint. What are your favorite nursing/maternity styles? 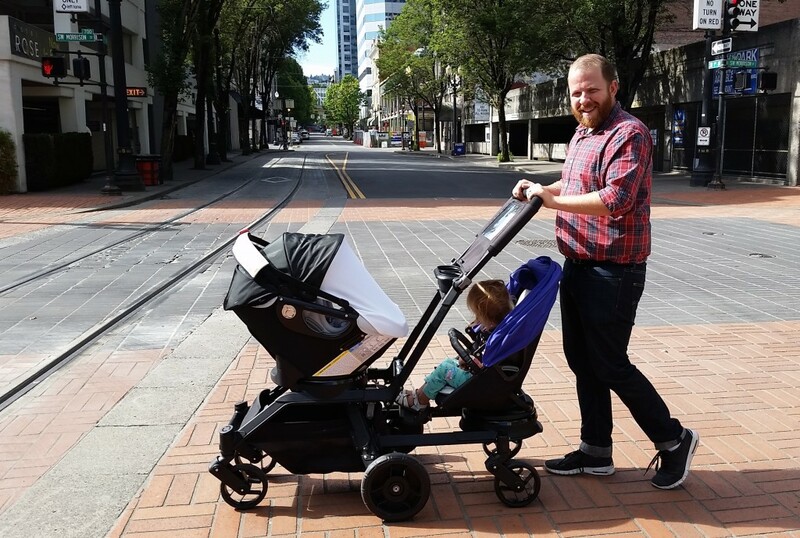 How do you stay stylish while pregnant or nursing or being a mom in general? While we have our own collection of books I like to mix it up a bit and I take Edith to the library to read and to borrow books to read at home. We have recently moved but at our old library had this amazing, huge Eric Carle rug in the story time area that we would spend time on reading books. Edith loved this rug because she could go around and identify all the animals from the Eric Carle books we have read. 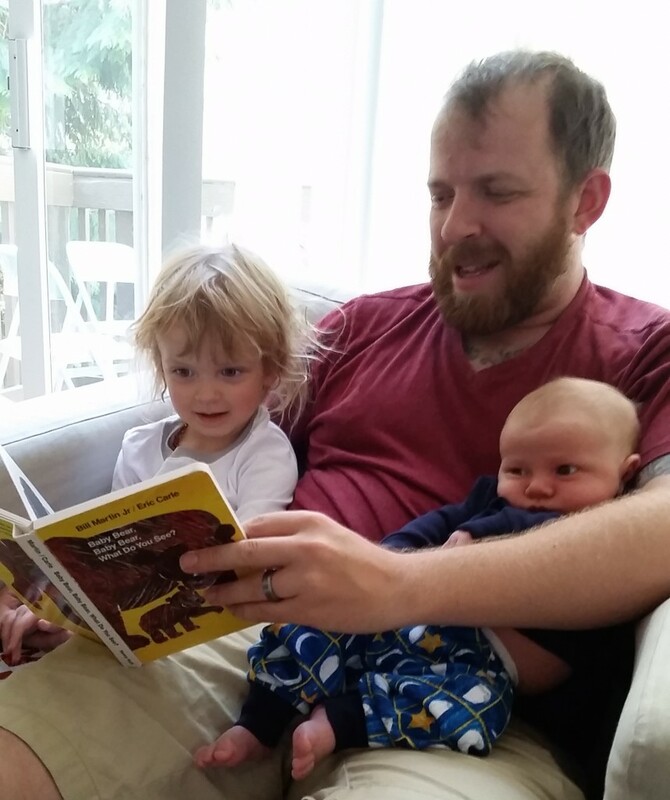 One of our favorites is From Head to Toe which is a super interactive book that shows animals doing different things and encourages you to try to do them took. This is a favorite book of ours to read at the library because they have an oversized copy that is bigger than Edith that we can layout and read on the big Eric Carle rug. Each visit we tend to pick out a new Eric Carle book – I didn’t realize there were so many of them! Since I grew up with Eric Carle books these books each time we read one it brings me back to my own childhood, sitting on the couch or in my room reading The Hungry Caterpillar or Brown Bear, Brown Bear, What do you see? 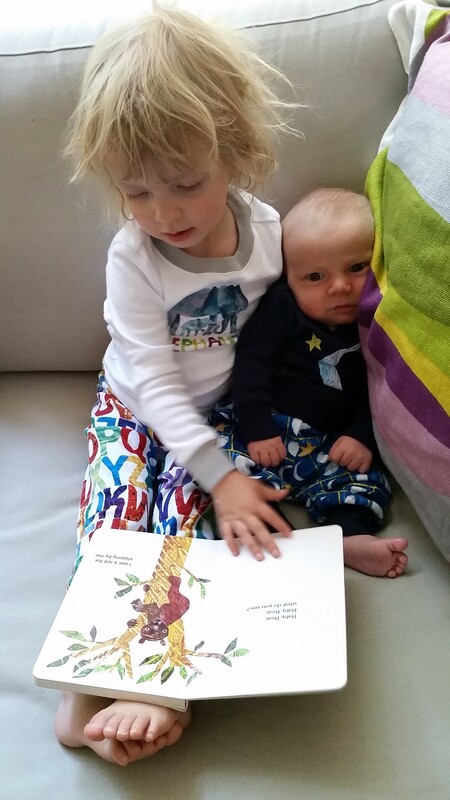 I love that I can share these books with Edith and Alder. Edith has really come to love Baby Bear, Baby Bear, What do you see? and we have been reading it daily. I think it’s because since Alder’s birth she has become obsessed with everything baby. She is also obsessed ABC’s and the moon so I was thrilled to find out Gymboree has as new limited edition sleep and playwear collection by the World of Eric Carle. I loved the baseball style playwear shirts but what really caught my eye were the super cute and colorful pajamas. 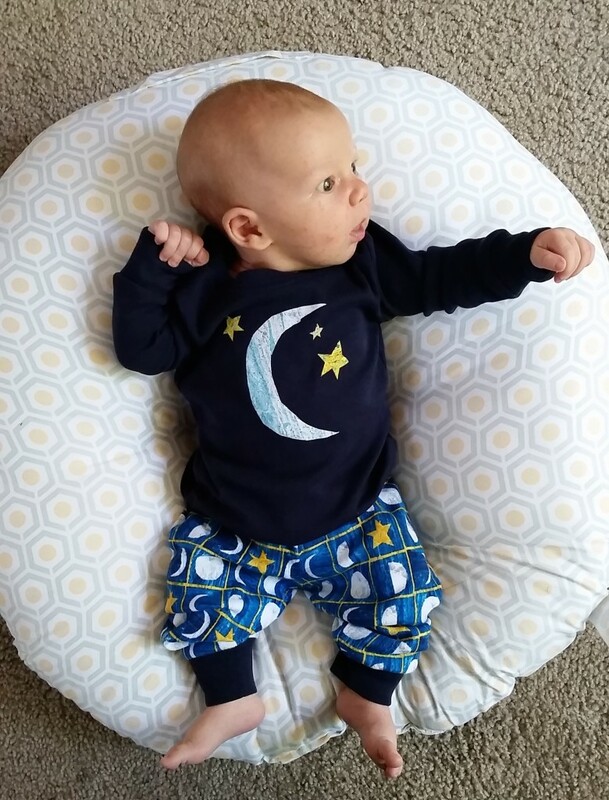 I immediately knew I had to pick up a pajamas with the ABC pants for Edith and I couldn’t leave Alder out so I picked up the moon pajamas for him. Edith couldn’t wait for bedtime to wear her pajamas and insisted that she wear them for her nap. How can you argue with that? She wanted to read Baby Bear, Baby Bear, What do you see? 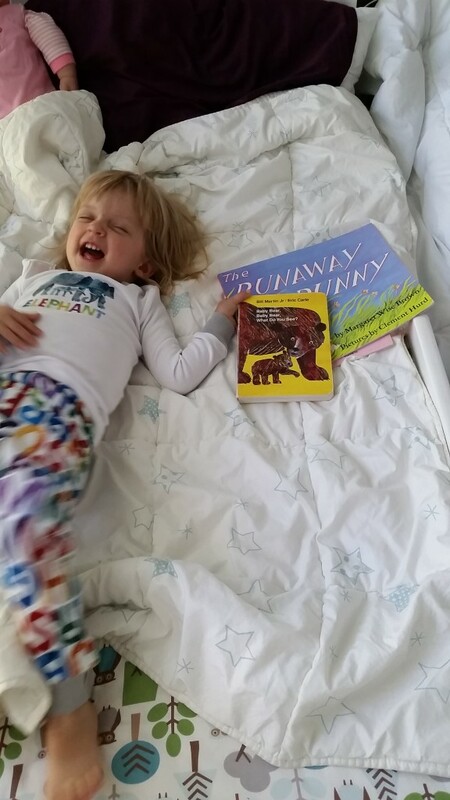 for one of her three naptime books and ear her Eric Carle pajamas. Seriously too cute. 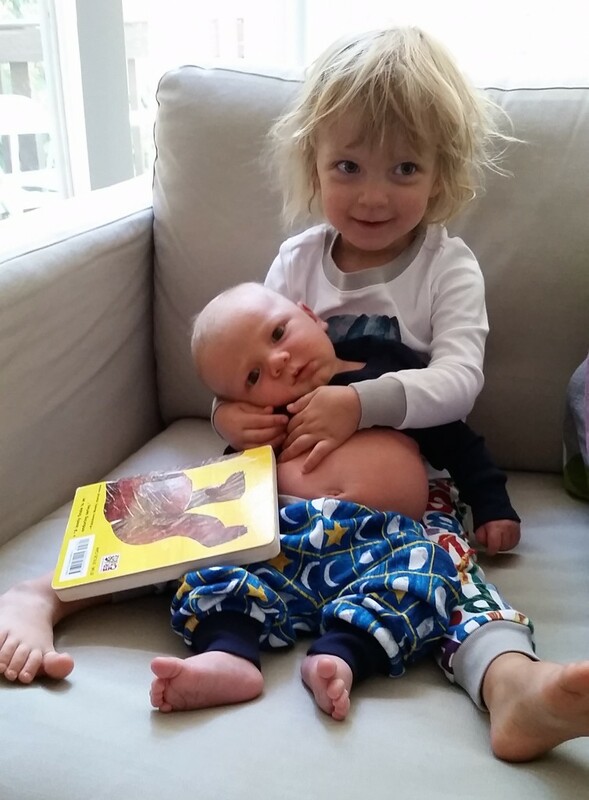 Alder is a little small for his moon pj’s but he tried them out anyways after Edith insisted he try them on. Don’t forget to head here to get your free printable Eric Carle coloring pages, mazes, games and more. For even more fun, download the Eric Carle and Gymboree iPhone app so you and your little one can add some Eric Carle fun to your photos and play a caterpillar game! Inspired by Eric Carle’s Brown Bear, Brown Bear, What Do You See, from 9/2-9/30, Gymboree will be hosting a photo contest, where they are encouraging parents to help their little ones take a picture of what they see. Entrants can submit a photo via Twitter, Instagram, Tumblr or via our designated direct photo upload site, using the hashtag, #WhatDoYouSee. Entrants of the #WhatDoYouSee contest will have the chance of winning one of ten Eric Carle gift baskets including: A House for Hermit Crab book, a signed copy of The Very Hungry Caterpillar book, figurines, stickers, The Very Hungry Caterpillar Sippy Cup, Chunky Colored Pencils, Match and Munch Game, Place Mats Book, and Stage & Play (Approximate Retail Value (“ARV”) $144.99). The winners will be announced at the end of the contest period, which is 9/30/14. Thanks to Gymboree for sponsoring today’s post! This is a sponsored blog post. I received compensation from Gymboree. The opinions and text are all mine. This post is sponsored by P&G. 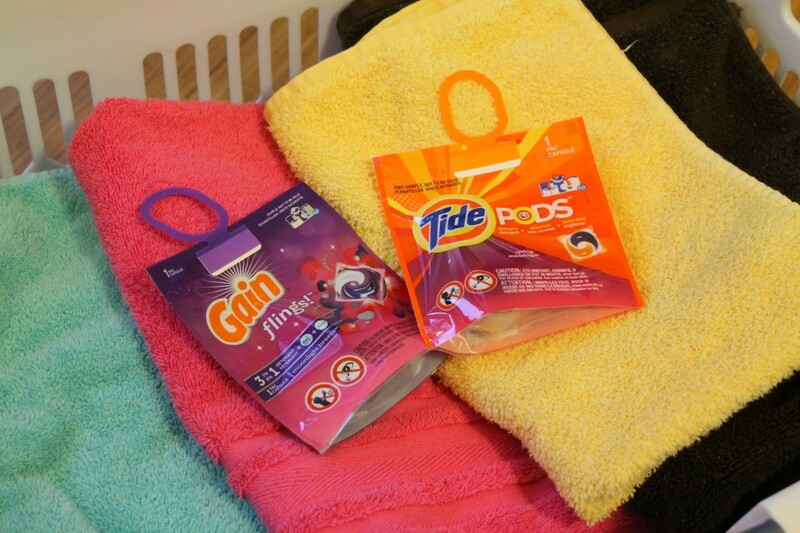 Save on NEW Gain Flings and Tide Pods at Target. Text CLEAN to Target (827438) for mobile coupons*. When it comes to trying to keep house while managing a busy work life and spending time with an energetic little girl, sometimes it’s the little things that count. Chores around the house can sometimes start to pile up, especially laundry. 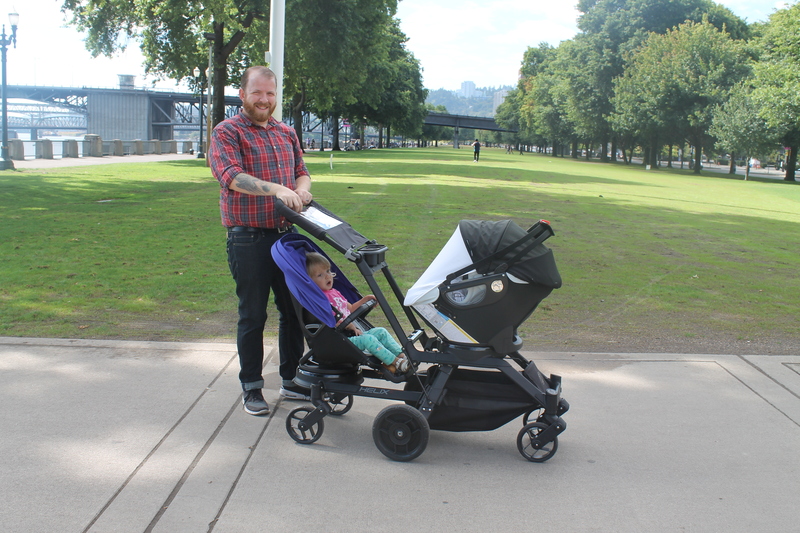 Between our every day clothes, Edith’s post-meal changes, cloth diapering, workout clothes, bedding and towels it can be easy to fall behind and hard to catch up. We’ve spent weekends doing load after load of laundry only to wake up Monday morning with no clean towels to take a shower with and having to wear mismatched socks and shirts that should have been thrown out ages ago. On top of that, it’s often that the laundry that does get done never gets folded. As part of our attempts to become more efficient and organized around the house and in our every day life, we’ve decided to make a number of changes some little and some major. One of those changes is to how we approach the laundry in the house. Before this, separating our laundry wasn’t very likely. We’d take our dirty clothes at the end of the day and throw them all in the same hamper, a pile of darks, colors, whites, his and hers (Edith’s have always been kept separate). Laundry is a chore that we tend to split and one of us would do a load of laundry and by the time it was dry; sorting, folding and hanging all of that laundry was a daunting task (I can honestly never keep track of what goes where with Lindsay’s clothes). Come up with a more efficient separating process – We’ve now got a much more strategic sorting process. In addition to the bins we had before for cloth diapers and Edith’s clothes, we’ve placed baskets in the bathroom for towels and bedding, one in the kitchen for dish cloths, and separate baskets in the bedroom for my clothes, Lindsay’s clothes, a shared one for workout clothes and a shared one for whites. Do at least one load a day, but no more than two – Doing this has allowed us to not get overwhelmed by large piles of laundry that need to be done. 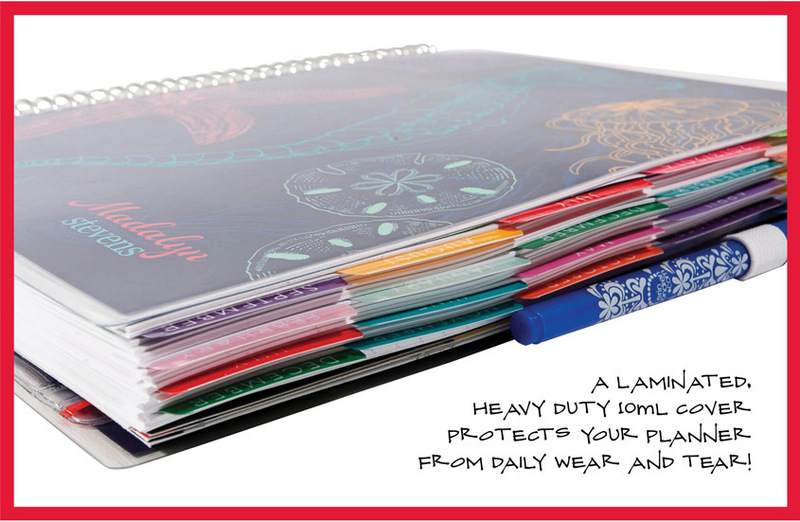 We can keep the load sizes manageable and keep on top of the dirty laundry. The reason we don’t limit to two is because the washer and dryer are up against the wall with Edith’s crib on the other side. While she doesn’t mind the dryer, our washer can be quite loud when it’s running so we find it best to not run that while she’s napping/gone to bed. Fold and store the laundry immediately – Doing this allows us to keep the laundry area from being cluttered and the small, separated loads make the process much similar rather than first having to sort the clothes and then fold, hang and store them. Keep the laundry area neat and tidy – By keeping the laundry area neat and minimizing the number of products we have that keeps the area available for folding after the laundry is done. Tide Pods and Gain Flings make this easier. They are just one little pod with detergent, OxiBoost and Febreeze. I’ve found they work great on our workout clothes and colours, getting them clean and smelling fresh. It’s as simple as tossing the pod in the washer with your clothes and starting the wash. Tide Pods and Gain Flings are available at Target. Do you have any tips to for little changes you’ve made to help make keeping up with housework and parenting easier? 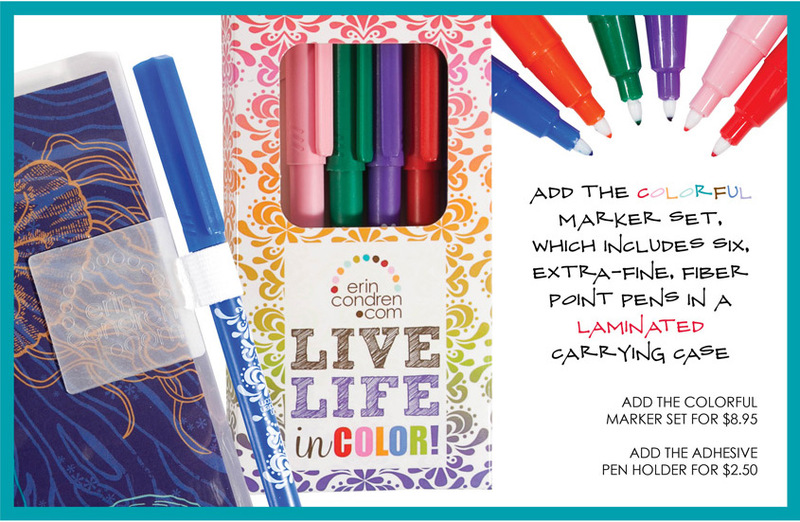 Disclaimer: I was compensated with a $25 e-gift card by ErinCondren.com for this post. All opinions are my own. I am a planner. I mean extreme planner and my husband loves to give me a hard time about it especially when I spend hours planning weekend getaways. 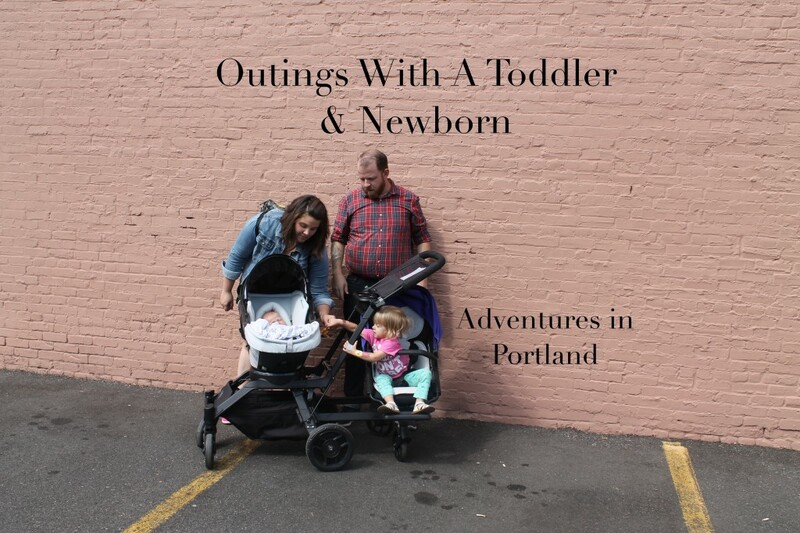 Now that we have a little one and I am trying to be a work-at-home mom as well as a stay-at-home mom (more on that in another post) I have gone into planning over drive. The one problem I have though is that I don’t have a a good planner. Well after weeks of research (yes weeks) I finally have come to the conclusion that ErinCondren.com has the best option. It has all the features that I am looking for including a calendar with a month view, week view and it has a spot of goals/tasks and a spot where I can put our menu plan and my workout plan for the week. Seriously it seems great and I can’t wait for mine to arrive. Now you might be saying well I would rather do my planning all on my smart phone or tablet and I get that so if that is more your thing don’t worry ErinCondren.com has a number of other really great products that you could use this gift card for including holiday cards, notepads, pens, a cover for your iPhone, or even some really fun wrapping paper (the holiday’s are coming fast!). So I am now just waiting to get my Life Planner and once I do I’ll be sharing it in more detail but until then it’s giveaway time!